It’s so interesting, the process I sometimes go through when writing these Authentic Woman posts. I have been looking at this quote for days, wrestling with it, resisting writing to it. That little voice in my head saying ‘you can’t be militantly on your own side, that would be arrogant’ and ‘I don’t think I can really trust myself, I often make mistakes and don’t do things perfectly’. I love the compassionate self-awareness that comes with self-reflective writing! I get a deeper look at my core beliefs, at those beliefs and inner shame voices that undermine my inner confidence and intuition, that sabotage my sense of self. But somewhere underneath all of my negative internal stories I know Anne Lamott is right (isn’t she always!). I have to be militantly on my own side. That doesn’t mean I don’t make mistakes. That I don’t have to say sorry. It doesn’t mean being self-righteous or defensive or not listening to others. For me it means I also having to listen to myself. It means taking risks. It means speaking up for what I believe. It means honouring my feelings and honouring my needs. It means holding my boundaries – my yes’s and my no’s. It means choosing to spend time with the people who nurture, love and respect me, rather than trying to get the attention of people who don’t. It means backing myself. Believing in myself. Believing in my perfect imperfection. I am slowly learning to deeply trust myself by practicing trusting myself. I cant trust myself if I don’t practice trusting myself. And by forgiving myself and others, when I get it wrong. In fact I now give myself permission to get it wrong often. I am juggling a lot of things in my life at the moment and I am showing up to life more fully than I have every shown up to life before, and sometimes I drop the ball. Sometimes I disappoint other people and disappoint myself. And I am learning to let this be ok. And saying sorry when I need too. Being militantly on my own side, for me, is all about how I am with myself. It is about being more generous and kinder with myself. It is about being my own best friend. And the kind of best friend who is kind and wise and consistent and present to whatever happens. And with this new freedom from my inner critic, perfectionism and unreasonable expectations of myself I am trusting myself more, trusting how I will be with myself, trusting myself to be militantly on my own side and with it is coming a new, deeper, more stable sense of confidence, intuition and calmness. For this, I am very grateful. 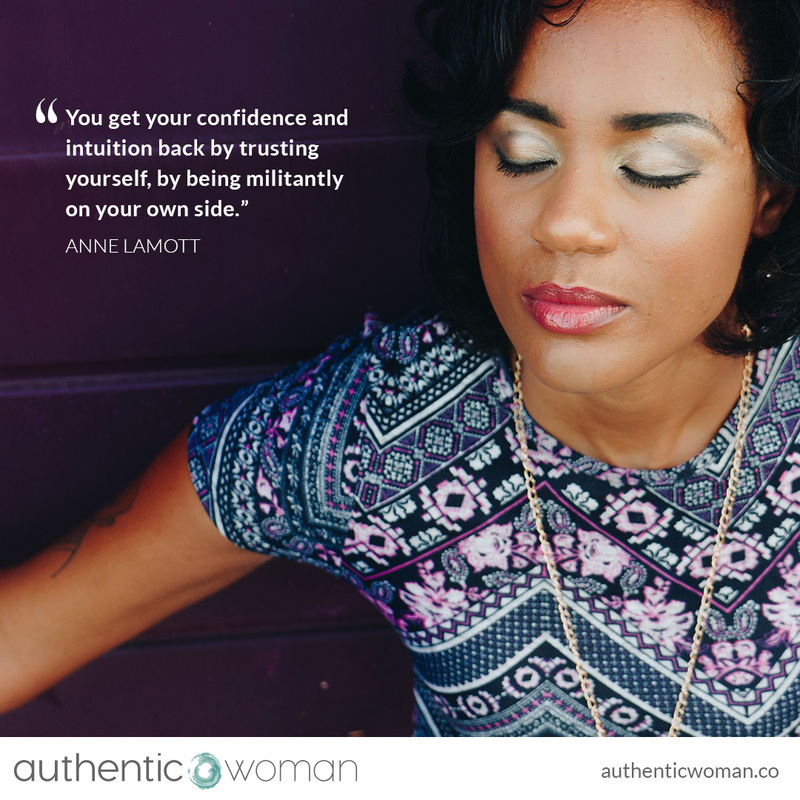 Are you militantly on your own side?